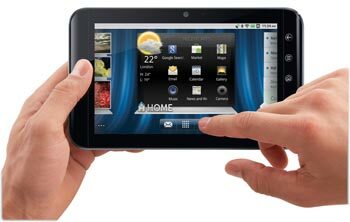 Dell Streak 7 Wifi Tablet - review, specification, prices. The new Dell Streak 7 Wifi Tablet offers the ultimate digital entertainments for you. It has a 7 inch WVGA Multi Touch display that made of damage resistant Gorilla Glass which is ideal for browsing, watching movies, reading books, streaming videos, or playing games. 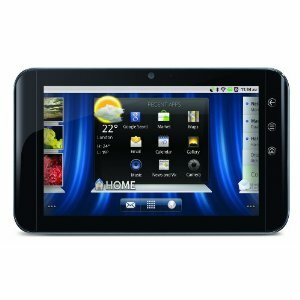 This device comes with excellent gray color and it is powered by a great efficient 1 GHz NVIDIA Tegra 2 Processor. It also features the latest Android 2.2 Operating System that provides a faster overall Android experience as well as greater multitasking capabilities. The Dell Streak 7 Wifi Tablet has many other features besides I mention above, like a Swype Virtual Keyboard technology, a 16 GB internal memory that can be expanded up to 32 GB via microSD, Rear Facing 5 megapixel camera for high definition stills and Video recording and a Front Facing 1.3 megapixel camera for video calling using the preloaded Qik Video Chat application, up to 4 hours of continuous video playback time, and up to 3 days of standby time. 5 megapixel rear camera with auto focus, multi-shot mode, and LED flash. USB 2.0 port with mass storage capabilities. Related Posts to "Dell Streak 7 Wifi Tablet"
17 Comments to "Dell Streak 7 Wifi Tablet"
it. Look advanced to more brought agreeable from you! Please comment to Dell Streak 7 Wifi Tablet - Laptop and notebook reviews Dell Streak 7 Wifi Tablet, review, specification, and price. Please don't spam.